Treatments for your Nails at The Beauty Rooms are carried out using the very best nail brand JESSICA. 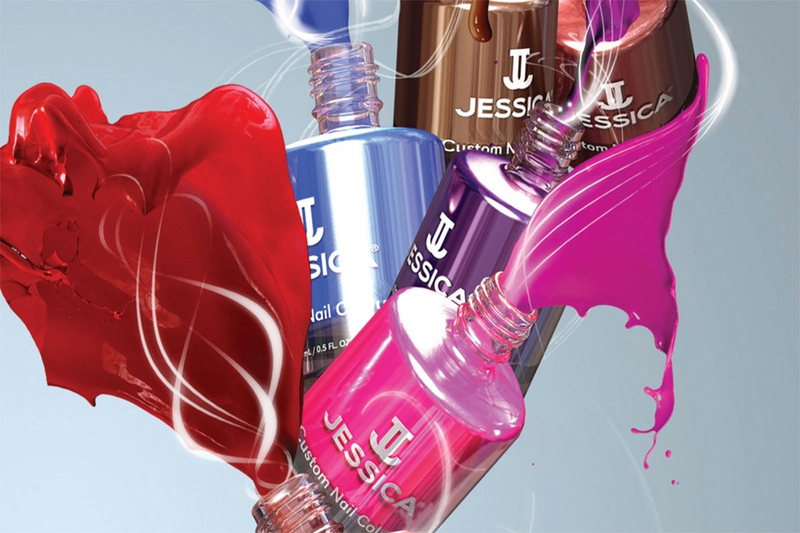 Recognised as the best in the world, JESSICA’s unique manicure technique and products are designed with the health of the natural nail in mind, encouraging growth and strength whatever your nail type. Our Nails treatments for hands and feet are available with either JESSICA’s classic Custom Nail Polish or using GELeration Gel Polish which delivers a long lasting, flawless finish that’s dry in seconds. If you want to take your Pedicure a step further and remove all of the hard skin from the soles of your feet then take a look at our Callus Peel Treatment. It’s the perfect solution for showing off your feet in summer. Our most popular manicure. GELeration is a high shine Gel Polish that dries instantly and stays on for weeks. Designed with the natural nail in mind to avoid damage. The upmost care and attention is delivered to the cuticles, and nails are shaped and then polished to perfection using GELeration in your choice of colour. This is your quick fix manicure. Nails are shaped and cuticles are conditioned and tidied before a base coat and a high shine JESSICA Custom Nail Polish in your choice of colour is applied. Any existing Gel Polish is removed. Nails and cuticles are tided and cared for with conditioning cream and a strengthening base-coat. A popular pedicure all year round. The instant drying, high shine GELeration Gel Polish allows you to put socks and shoes straight back on after your treatment. Includes hard skin removal, cuticle care and a relaxing foot massage along with nail clip and file. A quick fix for your feet. Hard skin is filed away before conditioning cream is massaged in, cuticles are conditioned and tidied before finishing with the high shine JESSICA Custom Nail Polish high-gloss polish in the colour of your choice. (Please bring open-toe shoes). The perfect treat for your feet. Relax and refresh with detoxifying crystals in our foot spa before hard skin is scrubbed and filed away. Cuticles are conditioned and professional tools used to remove excess growth. A reviving foot cream is massaged in before toe nails are clipped and filed. Nails are finished with the high shine JESSICA Custom Nail Polish in the colour of your choice. (Please bring open toe shoes). Do you want to proudly show off your feet without having to worry about hard skin? Then this is the treatment for you. Skin softening patches are applied to the hard skin and calluses on the soles of the feet. Whilst you sit back and relax with your feet wrapped, the skin dissolves and softens so that it can be gently filed away. Feet are then moisturised leaving them soft and revitalised. For Pedicures please bring open top shoes with you to your appointment. Do not wear socks, enclosed shoes or slippers for 1-2 hours post-pedicure. To prolong the life of your Manicure wear gloves for washing up and gardening. Avoid biting or tearing the finger nails or surrounding skin, keep an emery board to hand and gently file rough edges or breaks. Use cuticle oil (olive oil also works). A small amount at night will help keep skin nourished. Use moisturising hand or foot cream regularly to keep skin hydrated and soft. Apply top coat (Jessica Brilliance) 3-4 days after your treatment to prolong the life of your polish. Use a foot file on a regular basis on dry feet and or heels.